FC Barcelona and Sevilla FC have reached an agreement for the transfer of Ivan Rakitic. 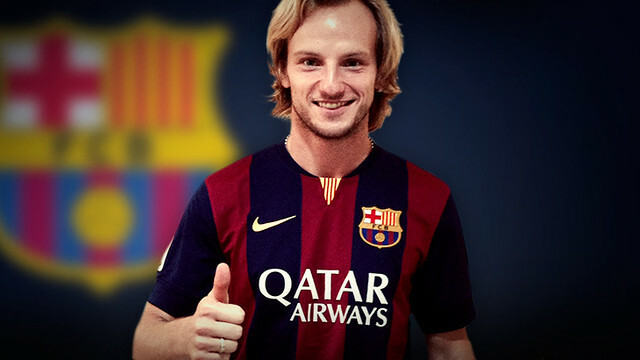 Ivan Rakitic will sign a contract with FC Barcelona for the next five seasons. Both clubs have also agreed for Denis Suárez to be loaned to the Andalusian club for the next two seasons. 26-year-old Ivan Rakitic arrives at the Camp Nou after impressing for three seasons with Sevilla. He has done nothing but improve in his time at the Sánchez Pizjuán, becoming the team’s main central playmaker and captain, leading them to the Europa League title in the 2013/14 season. Last season, manager Unai Emery usually played him as a central midfielder, and in his finest campaign to date, he made 59 official appearances and scored 15 goals. Rakitic is also one of the stars of the Croatian national team that is currently in Brazil playing at the World Cup.